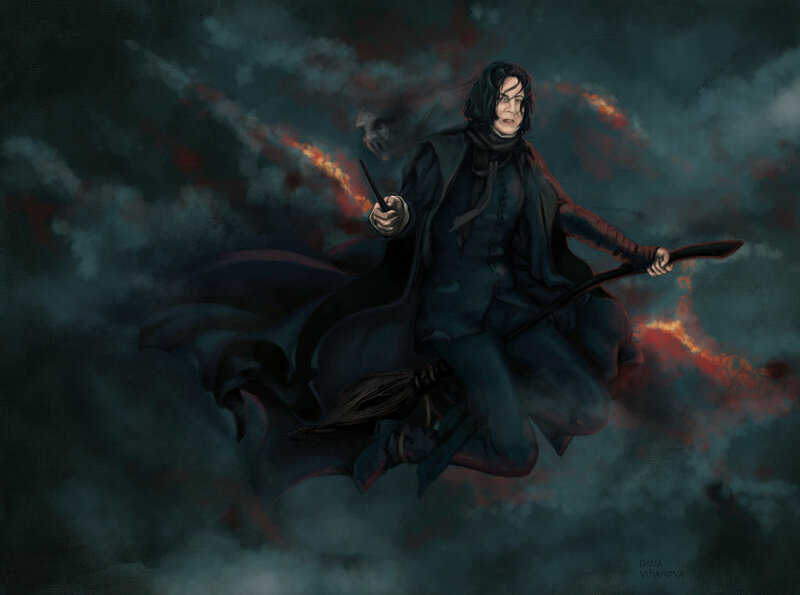 Flying Severus. . HD Wallpaper and background images in the Severus Snape club tagged: severus snape potions master harry potter alan rickman deathly hallows 2 snape. This Severus Snape fan art contains sunog, apoy, and inferno. There might also be usok screen and panabing na usok.